An uncontested divorce is one in which both spouses are in agreement with the major aspects of the divorce. When that is the case, Robert Vukanovich Attorney at Law is your uncontested divorce attorney in Vancouver, WA to help you navigate the legalities of the divorce. When the terms of the divorce are amicable, the process is generally a smooth one, however there is still a tangle of legal forms to file and specifics to include. That is where having an uncontested divorce attorney becomes necessary. The divorce process can be a complicated one, even for couples who generally see eye-to-eye. What is drawn up in the uncontested divorce proceedings can have lasting implications for the future. You may not have a full understanding of how these implications can play out in the long run. Once a judge has signed off, it can be impossible to make any changes to the agreement. That is why having an uncontested divorce attorney in Vancouver, WA advising you is so important. It is not uncommon for one or both parties to feel guilt or so much sadness at the time of a divorce that they can make decisions rooted in those feelings. These decisions may become regrettable as time passes and feelings change. Having an uncontested divorce attorney to advise you of your rights and what is in your best interest can alleviate future regrets in this regard. In the case of an uncontested, no-fault divorce, Robert Vukanovich offers support without pressure. He has the expertise and experience to gently advise you on your rights and the options. This includes describing common errors and omissions that may apply to your situation. He also ensures that all the legal requirements are being met and the paperwork is filled out and filed correctly and at the right time. This negates the risk of making procedural errors in the paperwork which can greatly delay the process. 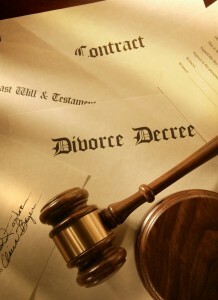 Working with someone who has extensive experience in Washington divorce laws is important. Robert Vukanovich has been representing the people of Vancouver in family law since 1990. He is dedicated to protecting your rights and offering compassionate support. Having someone to represent your rights does not mean you and your spouse are in disagreement. When each party has their own uncontested divorce attorney, the process often runs quickly and smoothly. Nothing is left to change and nothing is left unconsidered. Both parties are protected and the process is generally much less expensive than other longer-lasting types of divorces. If a disagreement arises in the process, you have an experienced attorney to help the flow of negotiation. Contact our office today for a consultation with an experienced uncontested divorce attorney in Vancouver, WA.